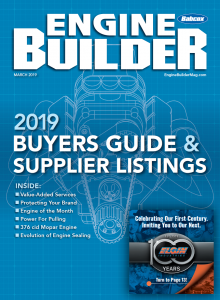 We often highlight and feature those of you who are professional engine builders, either here online or in the pages of the Engine Builder magazine, but it’s not often that we highlight the next generation of young men and women aspiring to enter the industry. However, we certainly should be, especially considering there are fewer young people desiring to enter this line of work, and the industry needs young folks to step into these roles in the future. 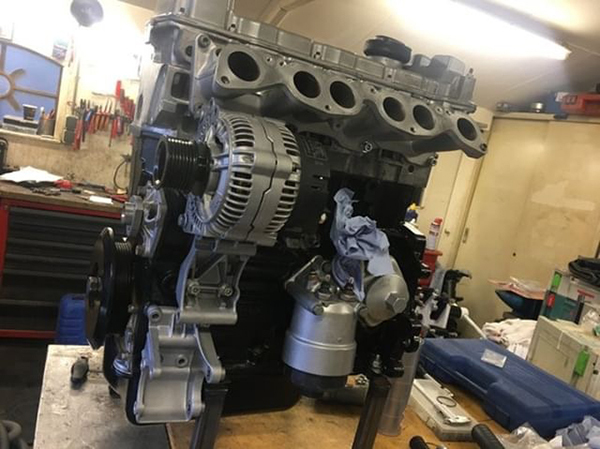 Obviously, when we heard from Bas Willems, a 20-year-old from the Netherlands, was building a Volkswagen VR6 engine for a 1988 Volkswagen Golf MK2, we had to get the whole story. 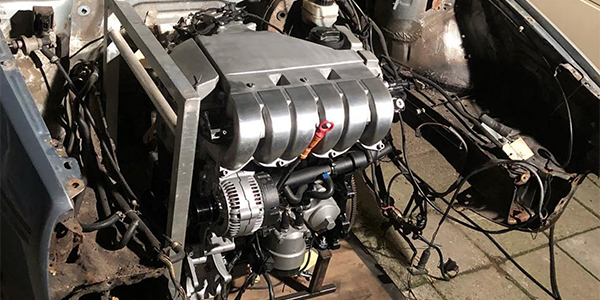 Bas Willems lives in Belfeld, Limburg, the Netherlands, and like many engine builders here in the States, he grew up with motorcycles and pretty much everything that runs on gas or diesel. That passion led Willems to enroll in an automotive school in Venlo, Limburg, the Netherlands where he is currently finishing his third and final year. 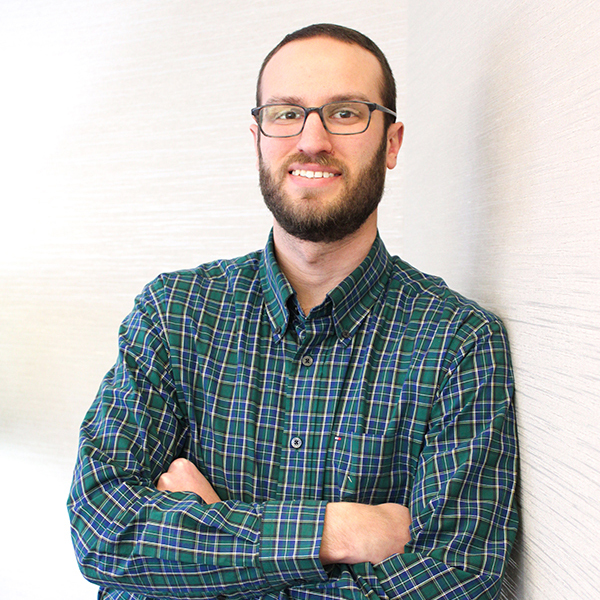 After graduating, Willems plans to attend for two more years in an effort to get a higher degree in automotive, which isn’t required, but will allow him to earn higher pay and will make finding good work easier. 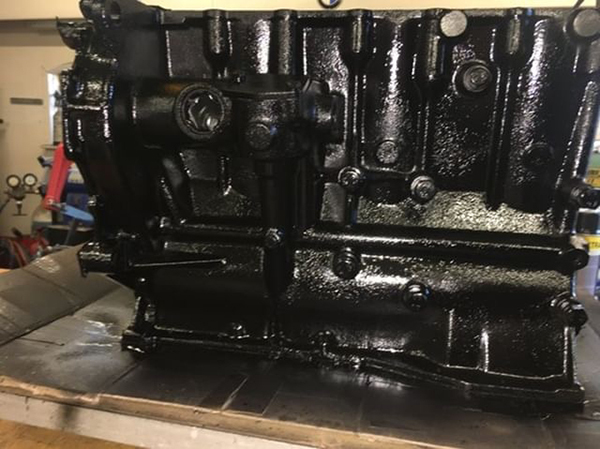 The block got painted and primed. If given the choice of a dream job, Willems says he would be right at home building engines and working on project cars. If that didn’t pan out, he would love to own a garage with a focus on Volkswagen cars and engines. Fortunately for Willems, he’s already well on his way to achieving his dreams. 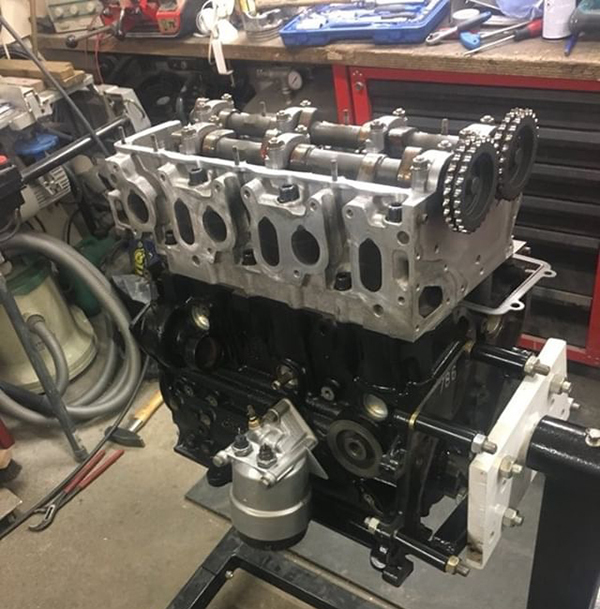 After school and work hours, he has been hard at work rebuilding a Volkswagen VR6 engine for his 1988 Volkswagen Golf MK2. 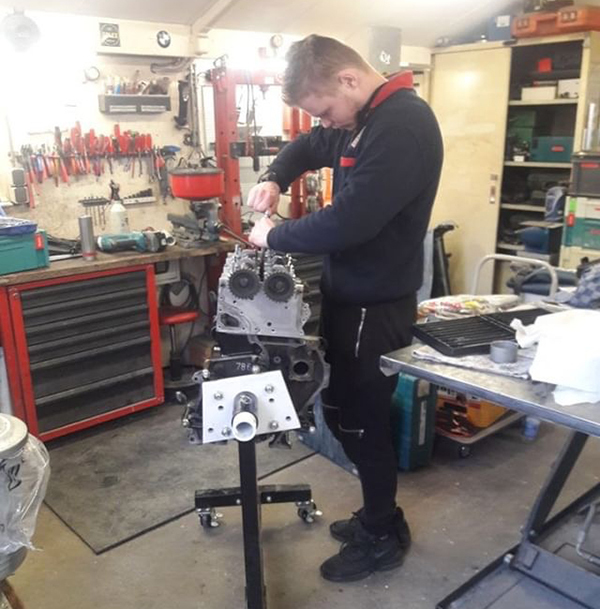 Bas Willems working on the VR6 engine. 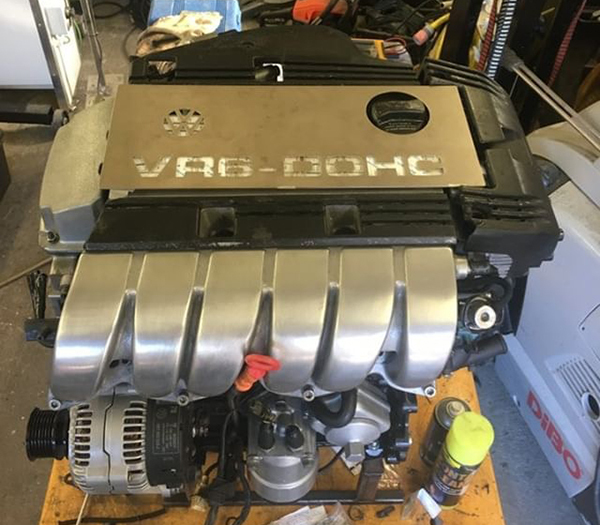 The original VR6 engine came from a still-running Golf MK3. 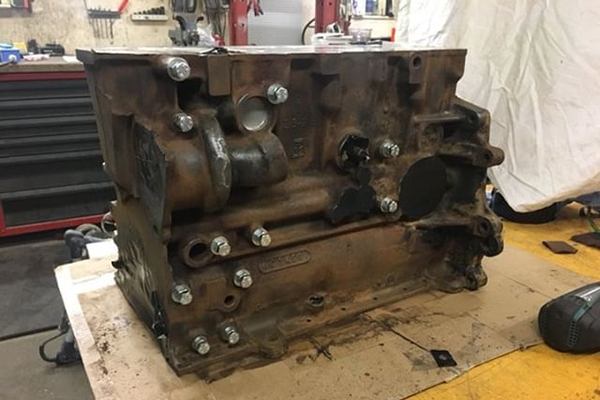 Because the engine was still running, Willems knew there wasn’t anything significantly wrong with it. 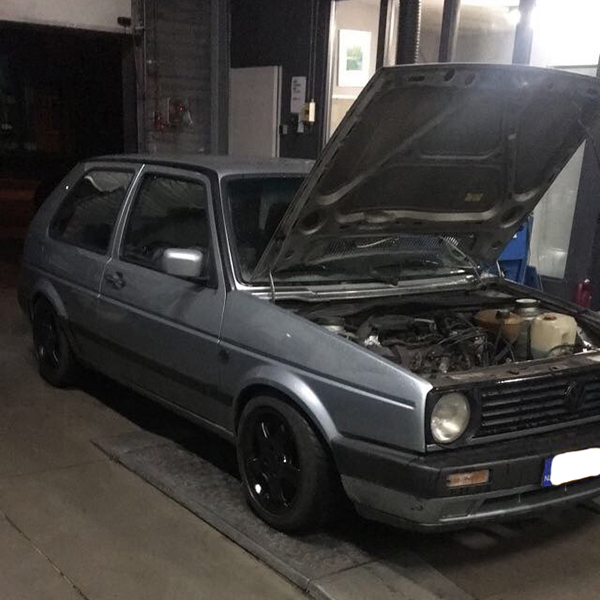 However, before putting the engine in the Golf MK2, he wanted to make sure the engine was 100% like new again. 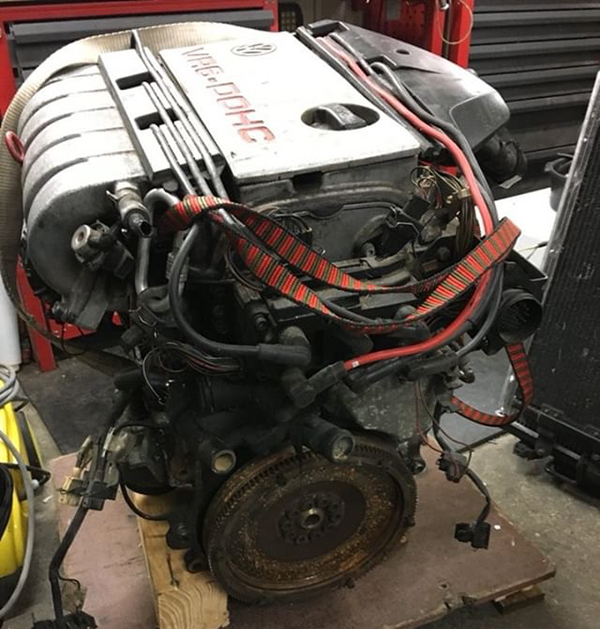 To start the build, Willems first stripped the entire engine and inspected every part. 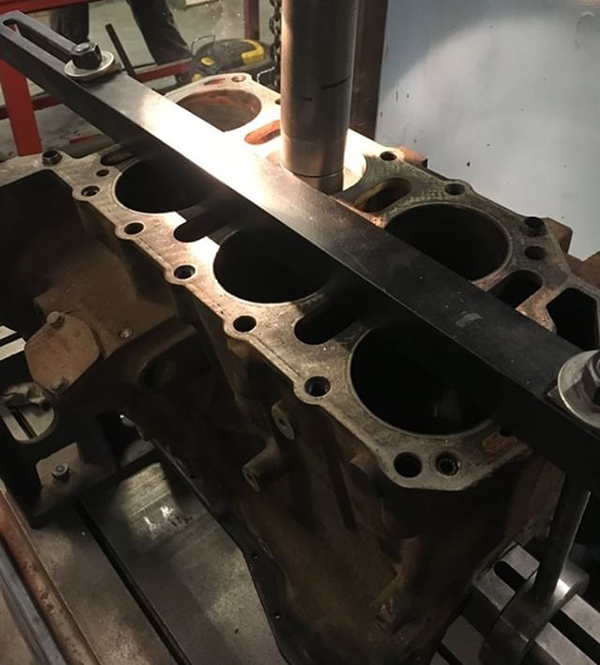 He noticed the engine’s cylinders had 0.1mm runout. 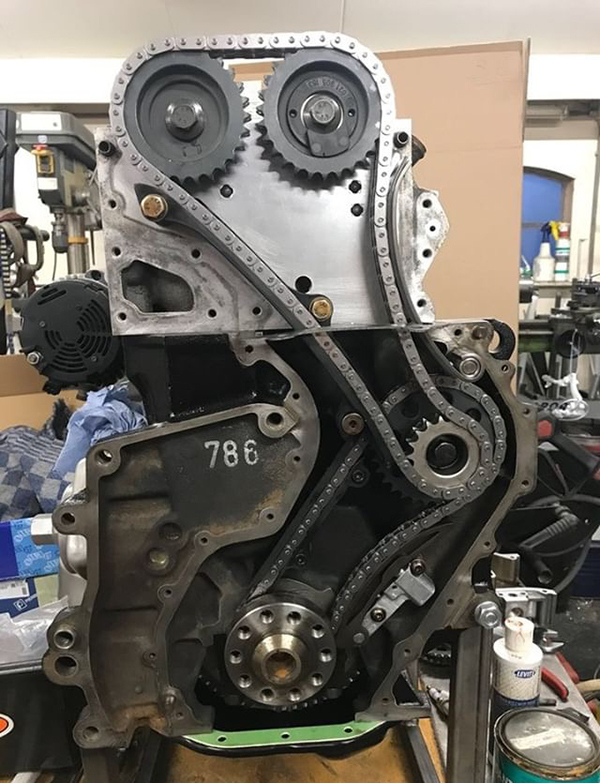 He also saw some metal in the engine oil, so he took the oil pump apart and found it was damaged, so he replaced it with a new Pierburg oil pump. 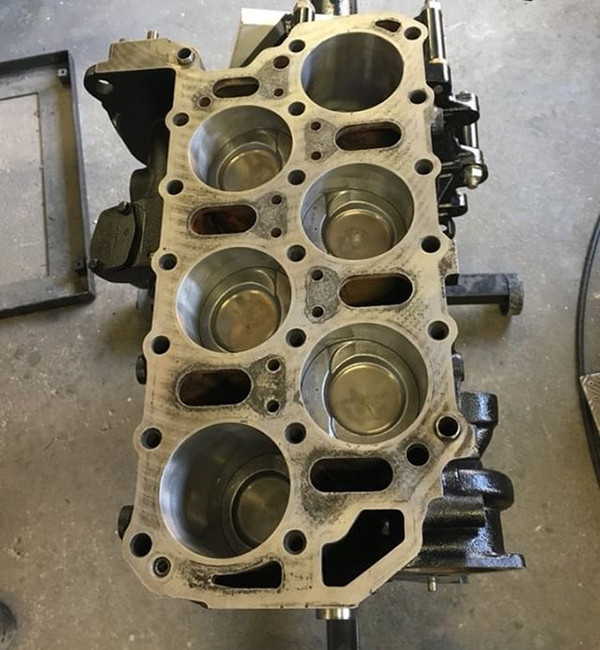 Willems admits he didn’t have a performance goal in mind for this engine build, but it will be chip tuned to crank out more than 200 horsepower. Originally, this engine delivered 174 horsepower. 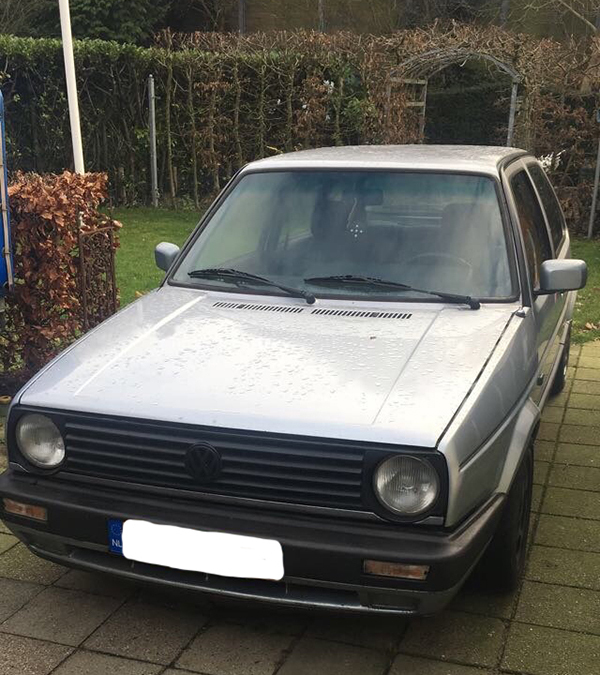 Aside from the engine work on the Volkswagen VR6, Willems’ 1988 Volkswagen Golf MK2 needed some love and attention too. The car will have work done to it in the future. 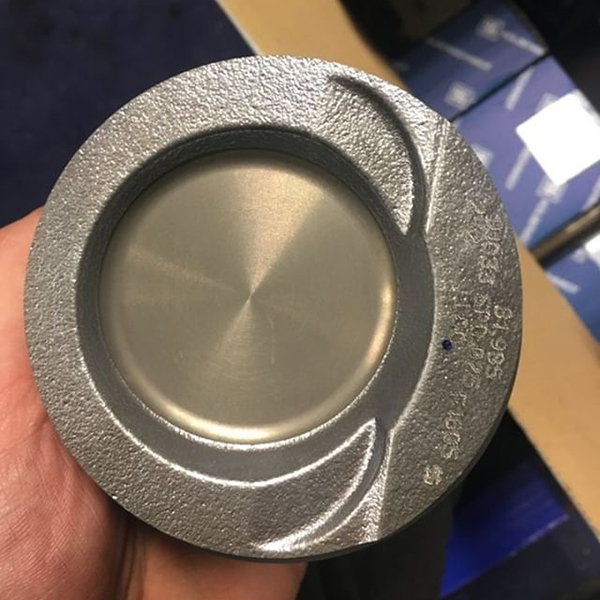 The project has made some major progress since Willems first began back in December 2017. However, since he’s only able to devote evenings and weekends to the vast amount of work needed, his expected completion date is summer 2020. “The engine is completely done now, but at the moment I’m rebuilding the gearbox and the car, so there is still a lot to do,” he says. Despite still having work to do, he’s already thinking about what his next project could be. Spoken like a true industry professional! The future seems bright for Bas Willems and his engine building endeavors. We know the industry could benefit from more young men and women just like him. 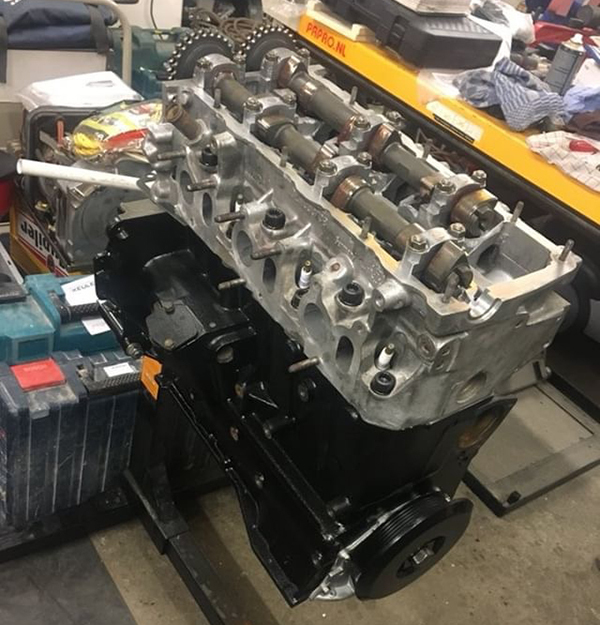 For more on Bas’ Volkswagen VR6 engine build or the Volkswagen Golf MK2 car, follow the progress on his Instagram at @vr6_mk2_project.